O'Brien and friends dressed up for Fancy Friday earlier this month. Fancy Friday is something quite a few of students do here at Asheville Middle. Basically, Fancy Friday is a tradition where every Friday, a group of students dresses up in their best, most fancy, and elaborate outfits. O’Brien Gibbs was one of the students who participated in this tradition that has been going on for over a year. O’Brien was always known to be not only one of the kindest, intelligent, and most down to earth kids, but also one of the best dressed. Every Friday, I would look forward to walking down the halls, looking over, and seeing another one of O’Briens crazy, fancy outfits. As we mourn the loss of our dearest O’Brien, we ask that you dress up today and every other Friday if you can, to show your respect to him, Ms. Landreth, and the rest of their family. If you want another way to show your respect, we are holding a vigil for O’Brien and William Edward tonight at the AMS football field from 7:30-8:30pm, where students will be performing some of O'Brien's favorite songs. I look forward to seeing everyone there in their best Fancy Friday attire. 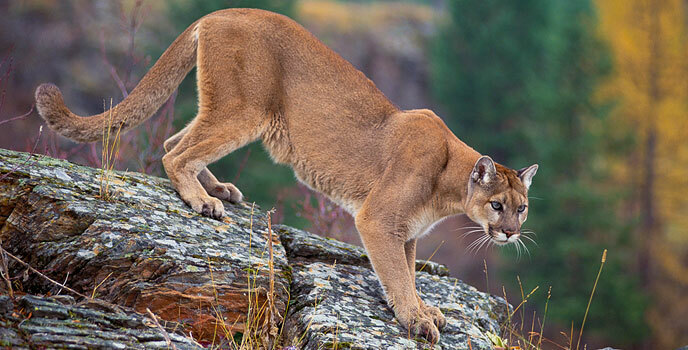 On Tuesday, September 26th, our Cougar family suffered an unimaginable loss. Due to a tragic accident, we lost our dear friend O'Brien Gibbs, an 8th grader at AMS, along with his younger brother, William Edward. Their mother, Jo Landreth, and older brother, Henry, were also in the accident. Both are currently recovering from their injuries. Ms. Landreth is an AIG Specialist here at Asheville Middle, who has touched the lives of many of the students here. The love for this family runs deep in the Cougar community. After learning of the loss of their friend and classmate, the 8th grade students decided to honor O'Brien and his family by asking everyone at Asheville Middle to wear orange, O'Brien's favorite color. This morning, a sea of orange poured into the cougar den. Everyone is trying to find a way to grieve the horrible loss of a student, and classmate, and a friend. Nothing can truly ease the hurt of losing such a beloved member of our cougar family, but the love and support pouring out into the hallways here at AMS is a small comfort to those mourning the loss of O'Brien and William Edward. The tribute will continue tomorrow as all students and staff participate in the tradition of Fancy Friday in honor of O’Brien. He will always be remembered here at AMS by all the people he touched, and many more. We love you, O’Brien and William Edward. We send all our love to Ms. Landreth and Henry. Please keep them in your thoughts. If you would like to make a financial contribution to help the family, I recommend you visit and donate to the GoFundMe.com page set up in their honor. Ms. Portugal grew up in Prospect Heights, a suburb of Chicago. Although this is her 2nd year teaching at Asheville Middle School, she has taught for 21 years. Currently Ms. Portugal teaches her favorite subject, Social Studies. She is also certified to teach Science and ELA. In her 7th grade Social Studies class, she loves teaching how the past influences the present and how countries have developed relationships. She likes teaching students to see the patterns and intricacies of the world’s interactions. ​This month students are learning about the Crusades and then they will move into the Renaissance. When I visited Ms. Portugal's Classroom, I noticed that kids were focused and looked like they were excited and ready to learn. Ms. Portugal started college when she was just 16. She took many business classes and soon realized that business is not what she wanted to do. She then moved into Psychology and worked at a Montessori school during college. She discovered that she loved to be with kids and loved to teach, and that she wanted to pursue a teaching career. Maya Fuchs, 6th grade. Journalism student working on her first story. This year at Asheville Middle School, a new elective has opened up and it's awesome. It’s journalism! Journalism is a great place for students in the 6th, 7th and 8th grade to write stories, take surveys, work on the yearbook, and talk about other things that are happening in the world. The yearbook this year is movie themed. The current title is Life's a Movie. All the students in journalism had the opportunity to pitch an idea about what they wanted the yearbook theme to be, and then we all voted! If you want a yearbook, go visit www. jostensyearbooks.com with a parent. Overall, Its very fun and I can’t wait until I get to write another story soon! Ms. Lopez in her classroom. Ms. Lopez is an 8th grade Social Studies teacher at Asheville Middle School. She has been teaching for 5 years at AMS and 10 years total. Ms. Lopez grew up in between Miami and Puerto Rico. She has 2 kids, Luna Indria Liu-Lopez, who is 2 and a half, and Leandro Aureliano, who is 1 and a half. Ms. Lopez is certified to teach Social Studies and ELA, but she loves teaching Social Studies because it helps students become aware and fight against the injustices in the world. “It has become abundantly clear that the people of this country need to be aware of the choices being made for them.” Ms. Lopez went on to say “To quote George Carlin, “If you have selfish ignorant citizens then you are going to have selfish ignorant leaders””. Ms. Lopez’s goal is for her students to be well educated and full of empathy. In Ms. Lopez’s class, they are doing a project called Americans who tell the truth. Students will pick a social issue and a person involved with that issue. Students will then create a short essay and an art piece to go along with the social issue. The Art will be shown at the downtown “Americans who tell the truth” exhibit. Bree Newsome, a civil rights activist, will be there for the opening of the exhibit. All 8th grade social studies classes are participating in the same event. Ms. Lopez is hoping that her students will become active citizens themselves, and learn that one has to put in the work and effort to make an issue change. She wants to start a revolution of social change that will make the world a better place. Ms. Lopez used to work for Fox Sports and while she was on a mission trip to Cuba, the leader of the trip asked her what she wanted to do in life. Ms. Lopez said that she had no idea. "Have you ever showed interest in teaching?" The leader asked. Ms. Lopez had a quick response of no, I have never shown much interest in kids. While she was in Cuba, Ms. Lopez got to meet all of the kids, hang out with them and teach them, but they ended up teaching her. She realized that she loved to teach and hang out with kids, so as soon as she got back, she quit her job at Fox Sports and started teaching. Ms. Lopez says “I have never looked back on my decision to become a teacher”. The 8th grade students at Asheville Middle School are kicking off the year with an artistic project. Before beginning the official NC curriculum, the 8th graders have been focusing on human rights and what it means to be an active citizen. 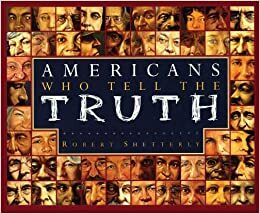 “Americans Who Tell The Truth” is a book written by Robert Shetterly, published in 2005. The book features quotes, biographies, and portraits of influential Americans who have worked to make change. The tellings of the book have now been turned into an organization and a project for students. The organization has a specific mission to combine art and other media with the work of active citizens to inspire a new generation of people. The project prompts students to choose a social issue that they are passionate about and research a citizen who actively made change within that issue. After researching the issue and the citizen, students were assigned to write a 2 paragraph summary that detailed what the issue was, how the citizen they chose was involved, and their personal involvement. The second part of the project involved a collage style art piece that featured a portrait of either the chosen citizen or themselves. The piece was meant to convey a message of how the person depicted in the portrait worked in that issue. Students had access to many different types of magazines and images that they could use in their collage. This project gives students a chance to get creative outside of the elective halls. To wrap up the project, both the art and the writing portions were driven downtown to the YMI Cultural Center by AMS teachers. The projects will be put on display during an Americans Who Tell The Truth event. Students and parents alike are able to attend as well as anybody else in the community. An official gala was held on the 19th that featured all 52 of Shetterly’s portraits also at the YMI Cultural Center. Although this project has come to and end, students will continue to be more aware of the social issues of our world and what can be done to make a difference. You can visit the Americans Who Tell The Truth site here!